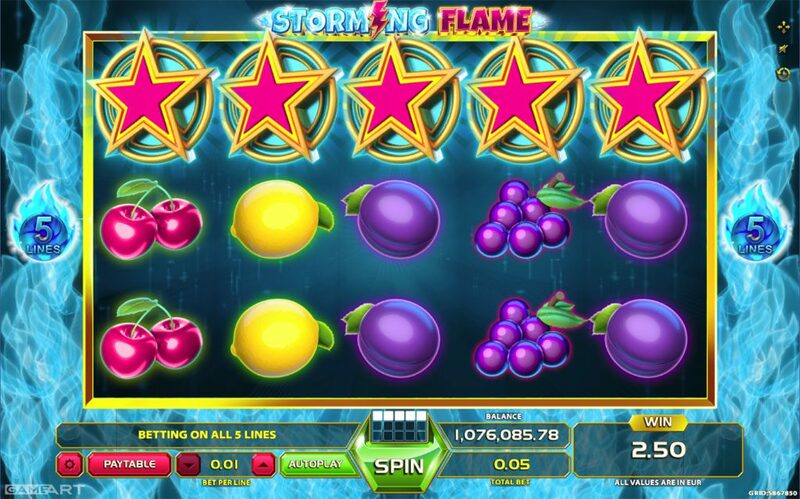 Lots of LIGHTING action in the STORMING FLAME game. 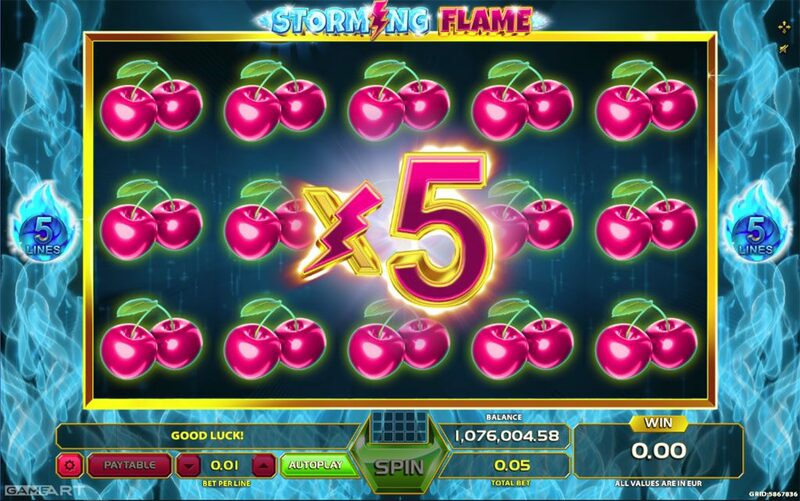 This 5 reel – 5 pay line game is rich with classic slot game symbols like various fruit and 7’s and provides constant fast spin & win action. 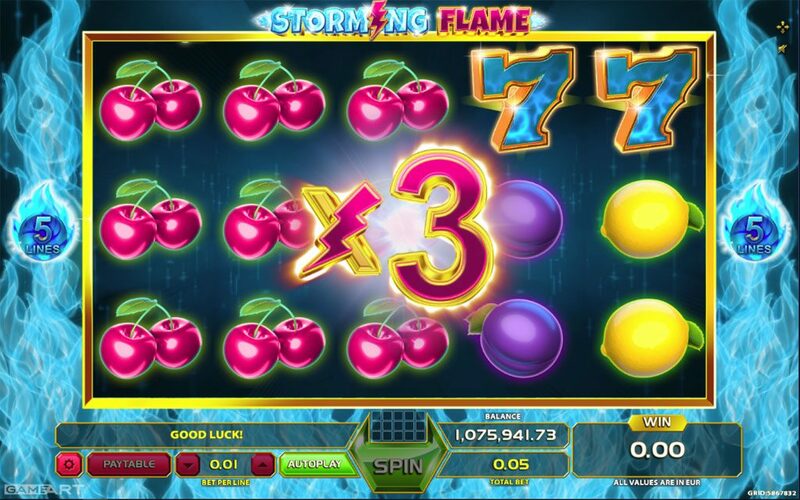 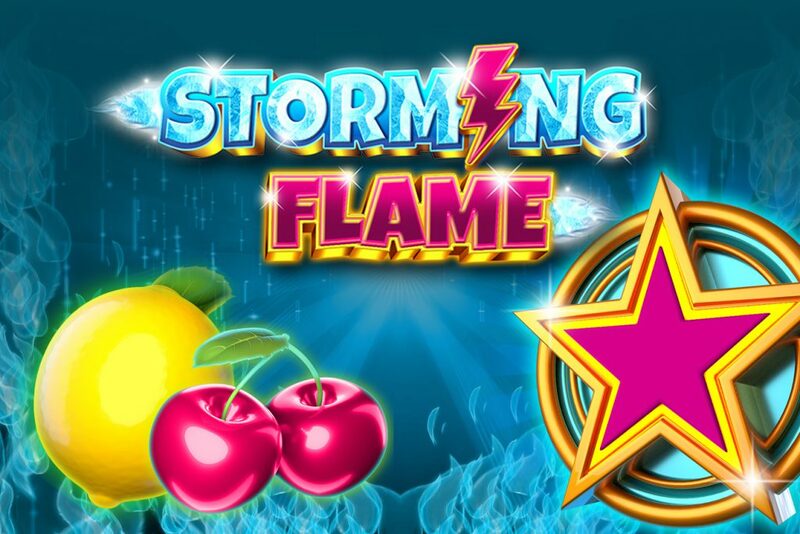 To fire up the action, four feature symbols (CHERRY, GRAPES, LEMONS and PLUM) pay extra: 15 of a kind on reels 1,2,3,4 and 5 multiplies total game win by 5, 12 of a kind on reels 1,2,3 and 4 multiplies total game win by 4, 9 of a kind on reels 1,2 and 3 multiplies total game win by 3!